Global oil inventories have started to decline and the supply/demand balance will soon tip into a deficit, if it hasn’t already. That will accelerate the drawdowns in crude oil stocks, and bring the market back into “balance,” providing a lift to oil prices. That, at least, is the working assumption. But there are a series of gigantic question marks out there – a handful of countries could upend the theory that the oil market is on a smooth trajectory towards balance. 1. Venezuela. Venezuela’s economy has been in freefall since oil prices collapsed in 2014. The situation has deteriorated rapidly more recently, however, with hundreds of thousands of people taking to the streets. While things could certainly drag on, the situation in Caracas definitely has the feel of some sort of final stage for the Maduro government. Oil production already dropped by nearly 10 percent last year, and will continue to fall this year. Depressingly, total collapse of Venezuelan society is possible, threatening 2 mb/d of oil production. At a minimum, output will continue on its downward path. On the other hand, Bloomberg Gadfly points out that Venezuela’s demand would also plunge in this meltdown scenario, offsetting the supply loss but creating another, if different, risk to the oil market. 2. Libya. The North African OPEC member has successfully brought back a huge chunk of its latent oil supply, ramping up output to 700,000 bpd earlier this year, essentially double 2016 levels. But output has seesawed back and forth in the past few weeks, with oil fields and export terminals going offline for a week or so, only to quickly resume operations. Data is hard to come by, but recent reports suggest Libyan production is currently somewhere around 490,000 bpd. It is also difficult to incorporate Libya into oil forecasting scenarios because of the immense uncertainty. On the bullish side of things (for oil prices, that is), the outages in Libya could persist, leaving several hundred thousand barrels per day offline. But there is a bearish case as well – Libya’s National Oil Company is targeting production of 1.2 mb/d by the end of the year. That is far from a foregone conclusion, but it is hard to overstate the depressing impact that more than 500,000 bpd of additional supply would have on oil prices. 3. Nigeria. Nigeria is a somewhat similar risk factor to the oil market as Libya. Both countries are exempted from the OPEC cuts and both represent both downside and upside risks to the oil market. Last year, Nigeria made a lot of headlines because of the string of attacks on pipelines from the Niger Delta Avengers. The attacks have slowed dramatically, but critical infrastructure – such as the 300,000 bpd Forcados export terminal – remain offline. That has production down to close to a three-decade low of 1.6 mb/d, down from a peak of 2.2 mb/d reached in 2014. The upside potential in Nigeria seems more limited than Libya, given the damage to infrastructure, but so does the downside risk since much of the sabotage has passed. Still, Nigeria presents a lot of uncertainty going forward. 4. U.S. shale. While other countries present oil market risk because of conflict, the U.S. could spoil a lot of forecasts because of the uncertainty surrounding the pace of the shale industry’s comeback. Previous forecasts pegged shale growth at just a few hundred thousand barrels per day this year. However, preliminary data from the EIA has U.S. oil production up by almost 300,000 bpd already in 2017, and output could grow by another 400,000 bpd by the end of December. Not only is it difficult to forecast the pace of growth, but U.S. shale is much more sensitive to oil prices than other sources of production, so what happens for the remainder of the year is highly uncertain and subject to market conditions. 5. Russia. Finally, the largest short-term catalyst to global supplies and, thus, oil prices, is whether or not OPEC agrees to an extension of its cuts. There is roughly 1.8 mb/d that hangs in the balance (1.2 mb/d of OPEC production, plus 558,000 bpd from non-OPEC). For now, it appears that OPEC is on board with an extension, with the group’s monitoring committee formally recommending an extension. However, the final ingredient for an extension is the cooperation of Russia, which has so far declined to publicly state its position. One complicating factor for Russian calculations is, as Bloomberg reports, the fact that Russian oil production typically rises in the summer. That, plus the fact that Russian oil firms have some major projects in the works, could make the Kremlin’s decision on the extension much more fraught. Although it appears unlikely at this point, Russia could derail the deal, resulting in much higher levels of global supply and sizable losses to crude oil prices. President Trump has constructed an “America first” energy plan emphasizing domestic energy production using fossil fuels. The appointment of new government officials to head key agencies dealing in energy and environmental policy such as the Environmental Protection Agency and Department of Energy reflects Trump’s commitment to the deregulation of the fossil fuel industry. In addition, Trump has been vocal about his goals to eliminate environmental policies created by the Obama Administration and has signed executive orders requiring federal review of the the Clean Water Rule and the Clean Power Plan. This and presidential memoranda which revived the construction of the Dakota Access Pipeline and Keystone XL Pipeline further highlight Trump’s commitment to fossil fuels. After his inauguration, Trump appointed several government officials who differed from those in the Obama Administration in their views on climate change. Scott Pruitt has publicly acknowledged that there is a component of human influence on climate change but has not made it clear what the role of the EPA will be in mitigating its effects. Staying in line with Trump’s ideologies, Pruitt has communicated that he plans to prioritize state and local control over federal land use and the lifting of regulations surrounding industries’ environmental impacts. An executive order planned for the second week of March will allow Pruitt to start a review process of the Obama Administration’s regulations of the coal industry, likely affecting America’s ability to meet reduced climate emission goals of the Paris Agreement. This action along with Pruitt’s historical financial ties to meat and oil industries has incited the opposition of members of the environmentalist community who claim that such interests in industry have previously affected his political decision-making. They reference specifically his handling of water pollution in Oklahoma from poultry manure, for which the meat industries faced no consequences. On March 2, the United States Senate approved the appointment of Rick Perry, former governor of Texas, as energy secretary. Perry has a long history of opposition to the Department of Energy, and once called for its elimination. His confirmation as head of the Department of Energy is a source of contention among Democrats due to his previous denial of man-made climate change and his intimate relationship with the Texas oil and gas industry. Since his confirmation hearing, Perry says he regrets his promise to abolish the Department of Energy and has indicated a reversal on his views of climate science. Opponents have expressed concern about his ties to oil and gas companies and lack of an educational background in physical sciences. Trump has appointed former Navy SEAL Ryan Zinke as Secretary of the Interior. Proponents hope that he will carry out the “pro-drilling” agenda on federal lands that Trump has outwardly advocated for, and increase energy production on federal lands. Members of the environmental committee have since expressed concern with this agenda, claiming that it, along with Zinke’s fiscal ties to oil and gas prioritizes energy production over clean air, water, and wildlife. Boost in Economy – America currently has 264 billion barrels of oil reserves, which is currently the largest oil reserve by any nation. The Trump administration is also making a commitment to clean coal energy. Carbon Capture and Storage and the development of this technology is thought to be an important strategy in preventing climate change and reaching a net zero emission future. The United States also has a vast amount of coal reserves, amounting to 26% of the world’s total, more than any other nation. The United States’ untapped oil and coal resources are estimated to be worth about $50 trillion according to the Trump administration, and this money could be used to help rebuild roads, schools, and public infrastructure. The White House estimates deregulation will increase wages by over $30 billion over the next 7 years. This figure specifically refers to the removal of Obama’s Climate Action Plan and was based on a study from the Institute for Energy Research, a conservative non-profit organization specializing in research of global energy markets. This claim by the White House is erroneous because the report actually states that the $30 billion in wages will not be due to deregulation but to increased drilling offshore and on federal land. National Security – Trump wants America to achieve energy independence from the OPEC cartel and all nations hostile to our interests. Ideally, this independence would also insulate the United States from any supply disruptions and price fluctuations from the global oil market. Environmental Protection – Currently, the EPA focuses on a range of topics including air, emergency management, land and cleanup, pesticides, toxic substances, waste, and water. Trump will refocus the EPA’s efforts to solely protect clean air and clean water. Other branches and topics not pertaining to clean air and clean water will most likely be cut. Policies such as the Clean Air Act helped cut 70 percent of the soot and smog in America while the economy grew 246 percent from the years of 1970-2015. This proves it is possible to hold strict environmental regulations while increasing American GDP. The Trump administration states that they are committed to clean coal technology. Reports from Natural Resources Defense Council reports that coal consumption in the US has steadily declined by about 20% over the last 10 years with energy from natural gas quickly taking over. In addition, clean energy (wind, solar, etc.) costs less than coal in most markets. Opponents argue that a commitment to clean coal technologies in America would both hurt the environment and hinder the country’s progress towards clean technologies. The Obama administration did an extensive amount of work to ensure energy efficiency while simultaneously keeping the environment in mind. Trump plans to unravel a majority of Obama’s energy policies and ease the restrictions on oil-and-gas pipelines, offshore drilling, and fossil-fuel production on currently protected federal lands. In regards to national security, the global oil market will continue to dictate the US oil market regardless of energy independence. In addition, the US may weaken its diplomatic ties with its trade partners, which could limit opportunities in the future for cooperation on matters important to US national security. Construction of the Dakota Access Pipeline (shown above) has resumed under the Trump Administration. Members of surrounding communities in Standing Rock felt that DAPL was an act of undisguised environmental racism due to its intentional relocation from a predominantly white town to an area directly next to the Standing Rock Sioux Reservation. Obama opposed DAPL for reasons related both to climate change as well as the health hazard a pipeline leak could pose for the water sources of the Standing Rock Sioux tribe. The president encouraged the Army Corps of Engineers to expedite their review on the Dakota Access pipeline in late January 2017. This executive memorandum came after the Standing Rock Sioux Tribe and its supporters demanded that the Army Corps of Engineers to look at alternative routes for the pipeline in summer 2016. A lack of documentation for the sale of President Trump’s stock in Energy Transfer Partners, the company building the Dakota Access Pipeline, has been noted despite a claim from a spokesman for Trump last December. Energy Transfer Partners was granted all federal authorizations needed to complete DAPL on February 7, with plans to have it up and running after three months of construction. The America First Energy Plan does not mention renewable energy and instead reflects the President’s focus on fossil fuels. Mr. Trump has been vocal about his support for the coal and mining industry and has chosen Cabinet members with fossil fuel ties, all evidence of his commitment to dirty energy produced in America. Mr. Trump praised solar technology during a rally in California the summer of 2016 but then criticized it for being too expensive and has since complained about the subsidies renewable energy companies receive. The cost of solar technology has seen a steady decline and Mr. Trump has been the beneficiary of low-cost loans and incentives for eco-friendly fixtures. He received $1,000,000 in energy efficiency incentives and was quoted saying he valued clean energy “more than anybody”. The role of the nuclear energy industry is unclear within the Trump Administration’s America First Energy Plan. 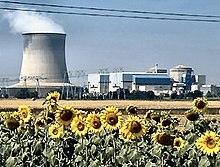 The head of the Nuclear Energy Institute, Maria Korsnick, stated that every year the nuclear industry saves the US $33 billion in emissions while providing 475,000 jobs and generating $60 billion for the US economy. She believes this information shows that nuclear power aligns perfectly with President Trump’s commitments to job creation and infrastructure improvement. The Obama Administration saw nuclear energy as a possible way to curb greenhouse gas emissions and considered the technology as a possible tool to mitigate climate change. Due to the Trump Administration’s aggressive stance on climate change research, future funding for the nuclear industry is in question. Amid protests, on March 28, Trump signed a “sweeping executive order” at the EPA instructing “regulators to rewrite key rules curbing U.S. carbon emissions and other environmental regulations.” Trump was accompanied by “coal miners and coal executives” among others and he devoted his remarks on the executive order to “praising coal miners, pipelines and U.S. manufacturing.” He addressed the coal-miners directly, “Come on, fellas. Basically, you know what this is? You know what it says, right? You’re going back to work.” The executive order plans to put American jobs first by not supporting climate change policies that place the economy at risk. While campaigning in March 2016, Donald Trump proposed the idea of eliminating the Environmental Protection Agency in order to help balance the United States’ budget. Trump said, “We’re going to have little tidbits left but we’re going to get most of it out”. On March 15 the Trump Administration had announced it’s plans to cut the EPA budget by 31%, by far the largest budget cut to any federal agency. The cut would result in a loss of 19% of the workforce or roughly 3,200 employees. The choice to remove the Clean Power Plan, which was put in place to reduce carbon dioxide emissions chiefly from coal-fired power plants, effectively eliminates Obama’s efforts to curb climate change. This plan also removes the $100 million allocated to fund research combating climate change. The National Oceanic and Atmospheric Administration provides $250 million for programs which aid countries with high risk of impacts from rising and increasingly warm and acidic sea water levels. These programs would be eliminated under the new set of budget cuts. The administration said the EPA mission will be refocused on clean water, air, and other core responsibilities, instead of focusing on activities that are not required by law. Trump is calling for more drilling in national parks. He has promised to utilize America’s $50 trillion in untapped shale, oil, natural gas reserves, and clean coal reserves. In interviews, Trump has accused Obama of “denying millions of Americans access to the energy wealth sitting under our feet” because of Obama’s policies surrounding the restrictions and bans on new coal extraction. Some policies from the Obama Administration have focused on protecting marginalized groups — including Native Americans, Latinos, African Americans, Asian Americans and women. These groups’ concerns have been integrated into the national park system over the past eight years. However, with Trump’s promises, policies from the Obama Administration may no longer seem applicable to the marginalized groups. On April 3, 2017, President Trump donated $78,333 to the National Park Service. Reports have stated that this donation will contribute to the $200 million worth of deferred maintenance buildup from US battlefields (The National Park Services’ total deferred maintenance backlog is valued at $12 billion). Trump has called for a $1.5-billion cut to the US Department of the Interior, to which the National Park Service and its $3.4-billion budget belong. Moreover, this 12-percent cut would decrease funding for National Heritage Areas and other landscapes that are nationally important, as several National Heritage Areas contain preserved battlefields. The Trump Administration plans to open up more federal land for energy development, such as fracking and drilling.When we look deeper into stream and wetland protections such as the Clean Water Rule (issued by the EPA and the Army Corp of Engineers in 2015), we see that the rule cleared up miscommunications surrounding the federal government’s jurisdiction to protect small streams and wetlands from pollution. Developers, business, and agriculture groups oppose the rule because they believe that their private property rights are violated and that undue regulatory burdens are created. Trump has been looking at options to erase this Clean Water Rule, along with other environmental policies from the Obama Administration. Trump’s Administration will lead to an agency with a $155 billion annual budget, supporting US Agricultural Industry & Rural Communities, fighting barriers to agricultural exports, making loans to farmers starting out businesses, and operating a crop insurance program. If confirmed, this would be one of the largest federal departments, and one that involves branches ranging from the U.S. Forest Service to the Animal and Plant Health Inspection Service (APHIS). This agency would also co-publish the U.S. Dietary Guidelines to running the school lunch program. This agency would naturally support the U.S. agricultural industry and rural community, especially those involved with agricultural exports, such as farmers, along with others who work in the ethanol industry, crop insurance programs, or agricultural exports. In attempts to lift regulations on oil, mining, drilling, and farming industries, the Trump administration proposed a 31% budget cut to the EPA that would result in reduced initiatives to protect water and air quality, leaving much of the effort up to the states. Specifically the plan outlines $247 million in cuts to pollution clean-up and $330 million in cuts to contamination site clean-up. Environmentalists fear that these cuts will result in health problems for those living near these sites, as there will be less funding for water pollution mitigation. Many of these sites have statistically been located near communities of color, having disproportionately negative affects on those communities. On February 16, 2017, President Donald Trump signed a resolution overturning President Obama’s Stream Protection Rule, after being in effect for less than 30 days. The repeal of this act means that mountaintop removal due to surface coal mining operations, along with all of its health and environmental hazards, are now permitted near waterways. On February 28, 2017, President Trump enacted an executive order to allow the Administrator of the EPA to revise or rescind the Clean Water Rule in the name of economic growth and eliminating ambiguous regulations. Research cited by the EPA shows that one in three Americans get their water from public drinking water systems which are partly sourced from streams protected by the Clean Water Rule. These streams will now be in danger of pollution by industrial and agricultural waste, sewage, radioactive materials and a large number of other pollutants now covered by the Clean Water Rule. The administration has also proposed a rollback on the Obama administration’s extension of federal jurisdiction over lands protected by the Clean Water Act in attempts to reduce water pollution in areas surrounding toxic waste facilities. EPA budget cuts are also expected to lead to decreased regulation of hydraulic fracturing (fracking), which would result in less federal oversight of clean-up projects in these area. These fracking disposal sites are twice as common in communities of color, causing increased exposure to environmental effects for these groups. President Trump is committed to the removal of regulations on industry that he deems an unnecessary burden on energy industries. Specifically, he cites the Obama Administration’s Climate Action Plan as a priority among these regulations. The Climate Action Plan, issued in June 2013, outlines regulations to industry with the ultimate goal of cutting domestic carbon emission, preparing the U.S. for impending effects of climate change, and working internationally to address climate change. Among the regulations outlined in the plan are initiatives to increase natural disaster preparedness, create and improve existing hospitals, and modernize infrastructure to better withstand extreme weather. Trump believes that global warming and cooling occur naturally. He once called climate change a Chinese “hoax” designed to ruin the American economy, but he has since amended his views. These actions reveal a divergence of views between President Trump and the Secretary of Defense, James Mattis, who called climate change a true threat to national security and stability. Mr. Trump will likely take things a step further and review the social cost of carbon, a metric utilized by the Obama Administration to place a dollar value on the affect carbon dioxide pollution has on the U.S. economy. Mr. Obama used the social cost of carbon to warrant regulations on the fossil fuel industry, providing an economic justification for his actions. The loss of this metric would remove economic credibility for significant regulations put in place on industries such as coal and oil. Mr. Trump signed an executive order later in March to officially withdraw and rewrite the Clean Power Plan in an effort to revive the coal mining industry. Trump’s promise to put miners back to work has been criticized for overlooking the changing nature of the coal industry. There have been significant technical changes since the 1980s, replacing human labor with machines and explosives by a margin of 60%. This change in the labor force from human to machine will likely increase as the coal industry struggles to remain competitive with the growing renewable energy and natural gas industries. The low cost of renewable energy and natural gas plus dwindling coal exports all put into question the actual influx of jobs due to the repeal of the Clean Power Plan. President Trump’s action to rescind the Clean Power Plan publicly removes America as a leader in international efforts to curb climate change and signifies that the U.S. will fail to meet the Paris Agreement. The Clean Power Plan was enacted by Mr. Obama to reduce American carbon dioxide emissions by 26% by 2025, a policy designed to help the U.S., the second largest climate polluter, make good on the international climate pledge. A key part of meeting this goal was to cut carbon dioxide emissions from the largest emitter in the U.S., the transportation sector, by reviewing fuel economy standards of personal cars and forming fuel efficiency rules for large commercial vehicles. President Trump has called these policies “a burden” on the U.S. automotive industry and has allowed Scott Pruitt, administrator to the EPA, to review Obama-era fuel standards. President Trump’s actions to weaken the Paris Agreement may have impacts on other climate change opponents around the world, giving them political space to resist acting in accordance with international climate change goals in the immediate future. Will Judge Block DAPL Construction?